Already Using An HR System? Make the transition to forward thinking, future proof technology and you will never look back! 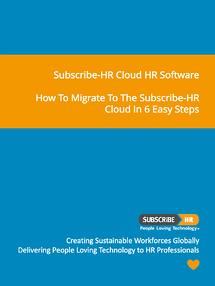 Some organisations might think that because they currently have their HR data in spread sheets, an in-house HR or Payroll solution, or even with another Cloud based provider, that it might be difficult to make the transition to Subscribe-HR's Cloud, SaaS subscription model. However, our open API and our unique Data Upload Tool make migrating your HR information to the Cloud easier than ever. Here's an overview of the essentials. Extract the data from your current in-house HR or Payroll, or SaaS HR system: we provide you with our unique Data Upload tool, into which you save your extracted data. All data is verified within the tool prior to upload into the Subscribe-HR system. This saves you significant time and money during the project implementation phase. Fulfil the documentation requirements: the success of your implementation is based on a well planned and well executed project. 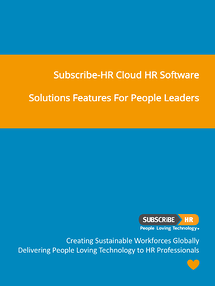 Subscribe-HR's Project Management and Implementation teams will work with you to make sure implementation flows as seamlessly as possible and you have all the information you need well documented. This will also reduce the amount of time, and therefore money, required to go-live. Perform any necessary customisation: Subscribe-HR makes customisation easy with our integrated Customisation and IDE solutions. The Developer solution enables you to change up to 60% of your HR system without the need for knowing code. The IDE (Integrated Development Environment) solution enables you to customise your solution right down to the code, making it uniquely yours. These two solutions result in significant cost and time savings. Perform solutions integration: Subscribe-HR's open API and Integration solution make it possible for you to integrate all your current business solutions, like Payroll and accounting software, with your HR solution. Create an IT Ecosystem that enables you to seamlessly share data and break down information silos in your organisation. Another significant time and cost saving for you. Follow the Project Implementation Process Map: We've taken the hard work out of the implementation process by creating a process plan and mapped it for you, so all you have to do is follow the steps. We understand that the less time you have to spend on this, the more money your organisation will save. "Statistics prove that Pacesetters, that is, organisations with the highest level of Cloud, SaaS adoption, are gaining significant competitive advantage. If you would like to join the Pacesetters, then start your obligation free trial today. Discover how our SaaS suite of 12 integrated, Cloud HR Software solutions will change your life."